In this interview, you will get to know more about Hyung Jun's preparation for his upcoming single 'BETTER', his insights about life, and why he had opened an Instagram account. ^^ Huge thanks to the translator of this article. ^^ 김형준 'BETTER' 싱글 화이팅!! 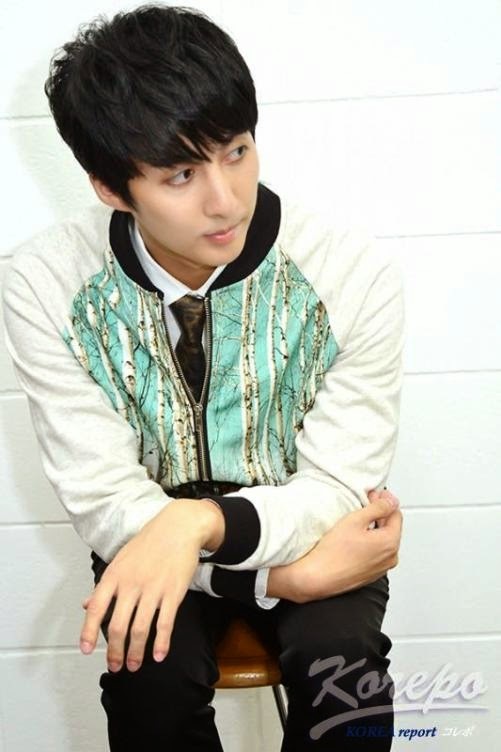 [ENG TRANS] Kim Hyung Jun Korepo “Individual Interview"
His charm is frank not decorated! "Bad guy? I can't become because I'm sweet. I want to become cool like my mother." Kim Hyung Jun (the youngest member of SS501) He was finished to roaring business "KIM HYUNG JUN 2014 LIVE TOUR –Endless Story-" which was Japanese tour that held for the first time in about one year on Oct 10 and 11 at Differ Ariake in Tokyo, and on Oct 13 at Zepp Nagoya in Nagoya with new single "BETTER" releasing on Nov 19. The past several years , KIM HYUNG JUN who shows us Activity remarkable as an actor in drama "Glowing She" "Gold Appear" "Melody of Love", movie "Actor is an actor", musical "Cafe-in"(ended recently). He increased brightness much more. Finally KIM HYUNG JUN came back as an artist after a long time! Then we met directly KIM HYUNG JUN who finished the hot live. He talked a lot, the recommended point of new song, the shooting unknown episode of MV and the private talk. This interview held at a studio in Tokyo. 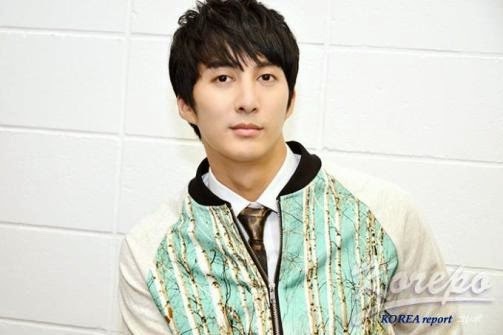 While the new song "BETTER" flowed, KIM HYUNG JUN came into the interview room. He is cheerful brightly. "Hello, Pleased to meet you" with a smile gentle. Although he was preeminent for a style, and very smart, he was natural. I received the impression that he does not give a wall. "The first, I will ask you about Live". He bowed his head in assent with the generous smiling face. Interview started. He replied with sufficient tempo to the question exactly. Moreover, he replied to the question which is hard to respond frankly. Q. You did Japan tour in Tokyo and Nagoya for the first time in about one year, how was it? -It is felt refreshed and having finished. But there is simultaneously lonesomeness. I wanted to do much more in fact. But it was the last this year because I have schedules in Korea. I have a sorry feeling to Japanese fans. Q. You appeared with pure white clothes, you was cool like the prince, you. Your fans were surprised at the figure that Mr. Kim Hyung Jun became slim. - Of course, naturally it is surprised. Also I did not think that I became thin like this for a short period of time. Q. You said in MC that you reduced weight 8kg in two weeks. Is it for shooting of the new song MV? -Yes. Also for jacket photography. Q. How did you do? I exercised　for 2 hours every day. Q. Before,　you also reduced weight for making a role of drama "Glowing She". Is it the method of being different then? - It is the same method. I did weight training, muscle training and running for 1 hour, with dietary restriction. Q. I think that before was cold time too. Is the diet serious in cold time? Q. Your fans cannot imitate, right? - I do not want my fan to imitate me. Because it’s too serious. Q. Some audience said, "cute" in this Live, but I think that there were many voices "cool" than before. Q. I think that smartness comes out of an inside. Did you have any change of a mental state? - I wanted to do music such as new song "BETTER". That is, my own mental state changed, right? There were many things till now. So I wanted to express such a thing in music. Also there was the sad experience in these. Q. "BETTER" is the music that expressed the feeling of the bad man who preferred loneliness to love, right? The finest passage? - Phrase "eh eh eh ~ eh". 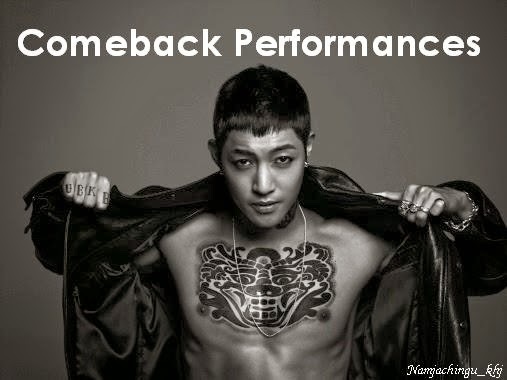 And the rap part which Ms. Ha Jooyeon (JEWELRY) was in charge of it is very good. I want you to listen well. Q. The episodes of the recording? - Anyway I remember I was busy. Because I produced it myself. Q. In MV of "BETTER", there are the scenes which smokes tobacco and wears the gas mask etc.. What's concept this shooting? - I played the professional killer. The boss ordered　"kill a certain woman", I went to kill her. However, it was placed by the situation where it could not kill because she was a woman whom I love. The painful man who hurts his heart was expressed. Q. It is a story like a movie. - Yes. This MV concept is like a movie. Q. The episodes of shooting MV? - I was very tired because I drove for a long time. And we had to shoot the dance scene all day long. It was shot last day. Also hard work. Q. The car is your car, right? - Beforehand, if the car was required for the shooting, I proposed the shooting team of MV that I would like to use my car. Q. If your car is shown by MV that many people look at, it will be noticed by the fan. Isn't it troubled by usual life? Q. 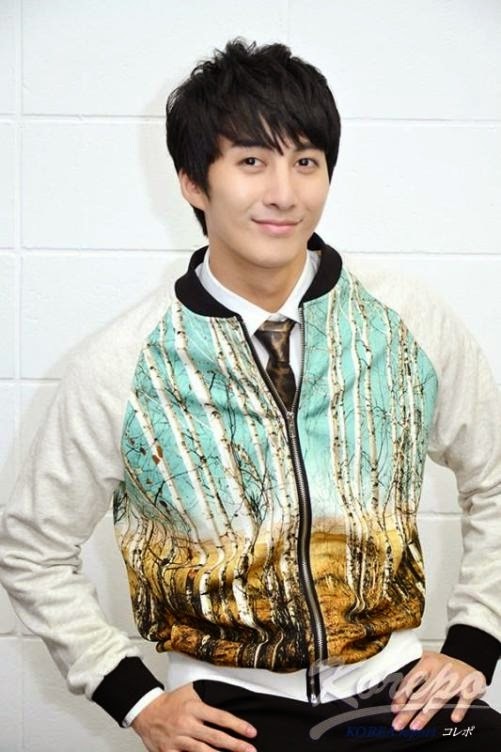 What's the fascination of "bad man" that Mr. Kim Hyung Jun think? - I’m too sweet. (laugh) I can’t become a bad man. Q. What kind of man is now 28-year-old Mr. Kim Hyung Jun? And do you want to become what kind of man from now? - Now I'm always sweet man having desire to become a romanticist, because I want to fall in love still more. But I want to become a cool man when time passes to a slight degree. I want to manage love and work cool. I think that masculinity is in coolness. It accepts all and can understand. And it can finish clearly when finishing. I want to become such a man. Q. You have a role model? - My mother. My mother is too cool. She is too clearly and frank. Impossible is impossible, finish is finish. She leaves no after-trouble. I want to follow her such place, because I'm irresolute. Q. Well, Mr. Kim Hyung Jun's mother is very beautiful. - Character is also beautiful. So she is my role model. At an entertainer, I like Mr. Jung Woo Sung. His appearance and an inside are both wonderful. Q. Doesn't your father feel lonely although only your mother's talk came out? - My father has an irresolute place. So I don’t want to follow much him. (laugh) My mother is more cool than him. She has decision too. Q. Do you want to marry a woman like your mother if you marry? - Yes. I want to marry a wise woman who has a vital energy. Also the woman who works hard and does not have an affair is good. 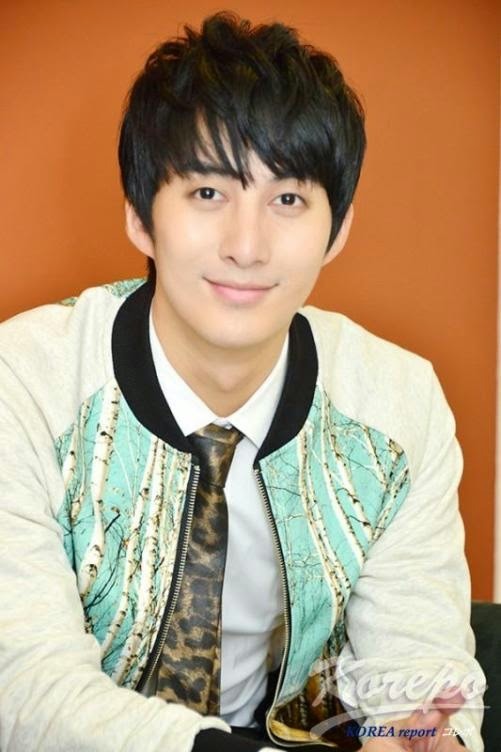 Q. Mr. Kim Hyung Jun is playing an active part also as an actor. As actor Kim Hyung Jun, singer Kim Hyung Jun, are there any differences in mental attitude when tackling work, respectively? - Not different. Same. I think that both are important opportunities and important moments for me. Therefore I have never done groundless work and I have never neglected even once. I can perform with ease in singer's activity, because I have done for a long time till now. Although I have a lot of something to do in actor's activity, I am still unripe. I think that I am concentrating more than singer's activity, worrying and being afraid of trouble. Q. When working as an actor, is there any point of work selection? - I have not chosen the work suitable for myself. Since it is important that it is whether I am a character that I can contribute to the work myself irrespective of starring and a supporting actor. And it is pleasant. I am trying to choose, after seeing the whole. Q. You started instagram recently. Were there any causes? - I was recommended by my stylist and began, I became crazy. (laugh) I will upload pictures from now on for my many followers! Q. You uploaded pictures “tebasaki” “Ichiran ramen” you ate in Nagoya. - If I go to Nagoya, I eat each time "hitsumabushi" "tebasaki" "gyudon" "Ichiran ramen". My best is "hitsumabushi". Really delicious! Q. Do you have something to do next year? - I think that it is good to be able to do a concert in Japan again. I want to do two dramas and one or more movies. In private, I want to do a car race, so I want to strive to be able to obtain the qualification. Although it is likely to become busy, it is good if I can also fall in love too. Please support me! Q. From November 18, you have release events of the new song which turns around the whole country starting from Tokyo. Please say massage to fan. Please say a message for your fans. - My single is released for the first time in one year. Since it made with might and main, please expect! I think that those who need the comfort of the heart can become fine if listen to this song. from laughter from beginning to end. In the talk of instagram, his manager who was hearing the talk said, “Mr. Kim Hyung Jun is kind to staffs.” He went to Ichiran in Nagoya because there was the dancer of Ichiran favorite? "He is anxious about the staff." I touched the merit of the person of the Kim Hyung Jun. kim Hyung Jun was hearing it with laughing much. He is friendly and it is loved by the staff in the life-size figure which is not decorated. Therefore, I felt that he can do good work in good teamwork. Moreover, in photography, he makes air in an instant like a switch turned on when it turned the camera. And makes a pose once once to the shutter sound of a camera. I was impressed. "That's great!" The new song "BETTER" which shows confidence as a result. And activity in Japan, such as an instore event, is expected.